So here it is the long awaited post on my Undercover Glamour false eyelashes! As readers of my blog will know I got send some eyelashes by the lovely Catherine and Julia to test out. I received some Katy Perry 'Oh My' extra thick lashes, some Cheryl Cole eyelure lashes and some Undercover Glamour own brand eyelashes! Yay! I wore the Cheryl Cole ones before and forgot to take a photo of them all together. They are definitely my recommended eyelashes as they aren't overly obvious (i hate the fake fake look) and are really comfortable for a night out! It was a bit strange wearing the eyelashes in the daytime but the light at nighttime when I'd usually wear them isn't very good. The change in my eyes is quite dramatic. Eyelashes are the perfect accessory for going from casual to glamourous. I can't go on a night out without wearing them now as they make you feel really dressy and ready to party! 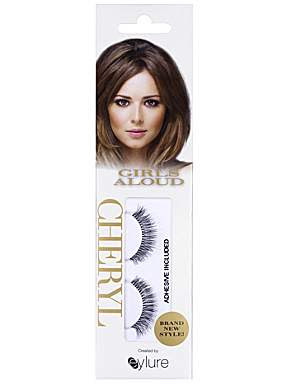 Get yours now at Undercover Glamour, they have a really wide range of different types of eyelashes and they are really reasonable with the own brand lashes being as little £1.50. On top of this delivery is always quick and punctual. They also have tips on wearing your eyelashes and different ways to get the most out of your eyelashes! DING DONG. This coat is literally the warmest coat in the world! I got it last year after seeing it in a magazine and endorsed by Millie from Made in Chelsea and fell in love with it, I wore it all last year and saw it this morning and thought 'its my snow time coat.' ha ha. What's your thoughts on fake eyelashes, yay or nay? Would you buy them from Undercover Glamour? Those lashes are so lovely! Your coat is gorgeous btw! Wow that fut stole is to die for! So classy and elegant! I love it! Love the necklace! You have done a fabulous job taking a casual look and making it look effortlessly classy!